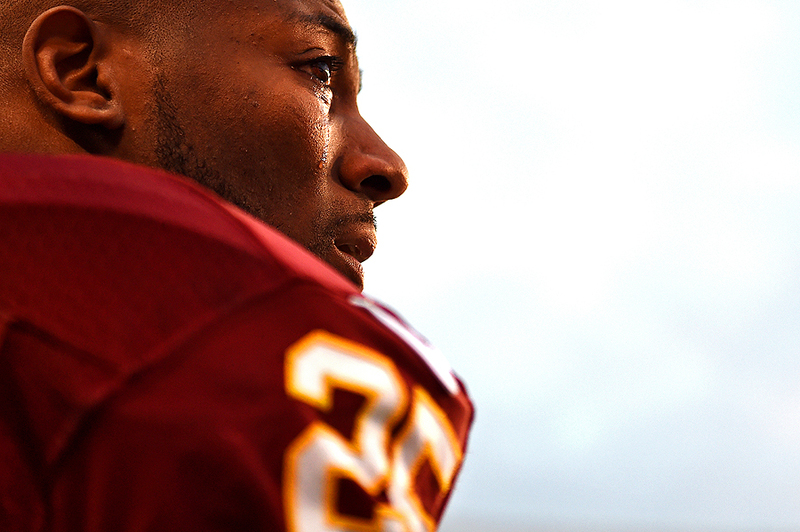 "Free safety Ryan Clark #25 of the Washington Redskins tears up during the national anthem before playing the Philadelphia Eagles at FedExField on December 20, 2014 in Landover, Maryland." It's quite rare to see pregame emotions from superstar athlete. Shooting for Getty Images, as the national anthem was starting to be sung, I worked my way down the sideline and found myself behind two Washington Redskins players before kick-off against the Philadelphia Eagles. One of those players was free safety Ryan Clark. The two were just on the outside edge of the bench and I debated whether or not I'd be able to get closer and in front of them by stepping on the field, but I decided to play by the rules and stay behind the yellow lines. I didn't really attempt to make any pictures at first because I could only see the back of the heads of the two players. But I grabbed my lens and pointed in the direction of Clark thinking in anything could happen in terms of pyrotechnics or something related. As Clark turned near the end of the anthem, I could see a tear streaming down his face and a small grimace. It was obvious he was visuablly moved by something. No one likes to document sadness, but it's our job as photographers to document what we witness. I still don't know what brought on emotion, and it could literally be about anything. Yet it's always a positive reminder to myself and viewers that these superstar athletes are no different from ourselves and are indeed human. "Wide receiver Steve Smith Sr., #89 of the Baltimore Ravens prays with teammates and players from the Jacksonville Jaguars after the conclusion of an NFL game at M&T Bank Stadium on December 14, 2014 in Baltimore, Maryland." As much as games stay the same, there is always something that makes each one different. 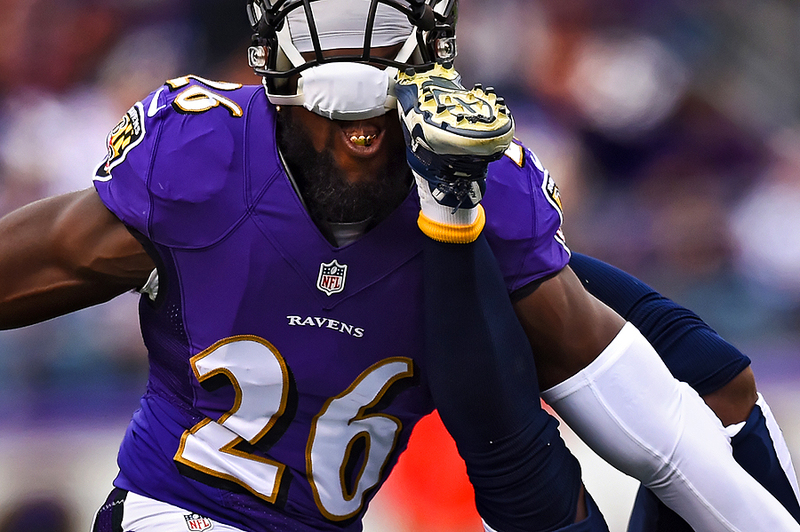 Week fifteen had come to an end in Baltimore, and when time expired, the Baltimore Ravens came out victorious over the Jacksonville Jaguars. Paired up with a teammate with Getty Images, we had small game plan for the post game scrum. It was a typical post game with lots of players congregating on the field. When I started to make my way off the field, I saw Steve Smith Sr., of the Baltimore Ravens remove his helmet. I instantly noticed a large cross with wings on the back of his neck. 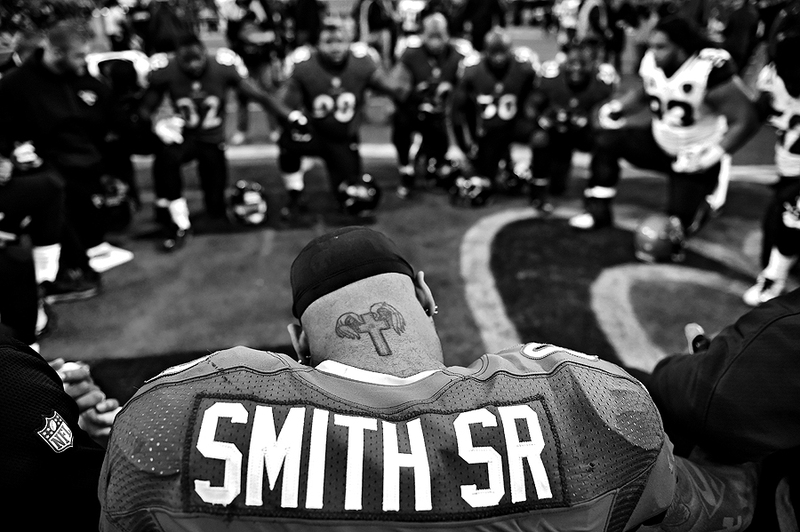 Having photographed the combined team prayer time and time again, I had never noticed Smith's tattoo. It was rare moment where I pictured an image in my head that then unfolded in front of my lens. It made for different picture of a routine image. I'll certainly revisit this image next time I document a Ravens game. 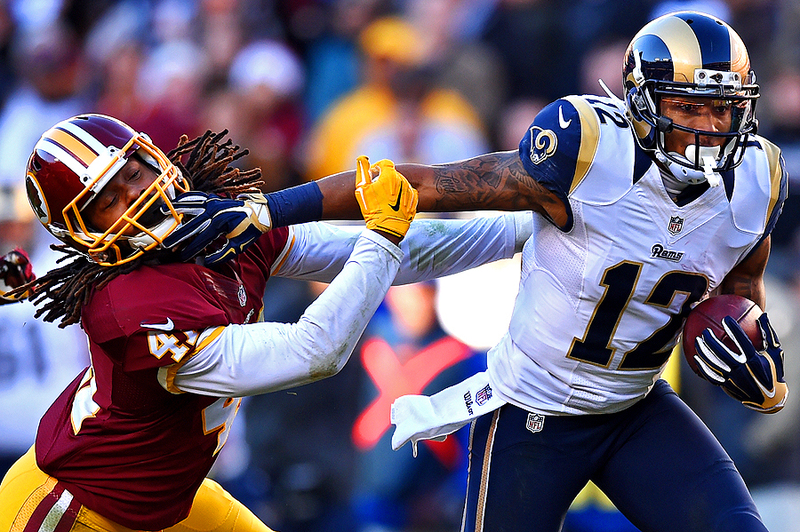 "Strong safety Phillip Thomas #41 of the Washington Redskins is stiff armed by wide receiver Stedman Bailey #12 of the St. Louis Rams in the third quarter of a game at FedExField on December 7, 2014 in Landover, Maryland." In speaking to a handful of students recently, I made sure to tell them to never discredit the skill of being consistent. We all want to document the biggest, flashest images that anyone has ever seen. 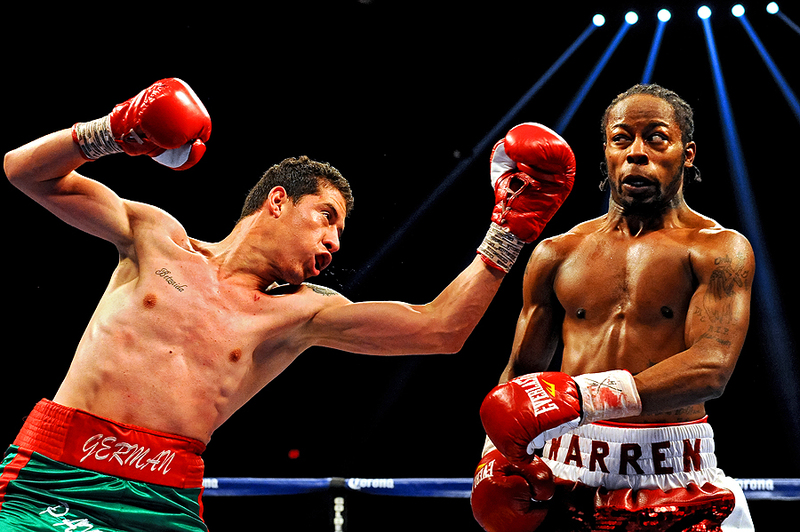 We want to stand apart from the rest of the pack and have the most compelling pictures in our portfolio. But the reality is that those pictures don't always present themselves. In planning to set yourself up for success, you need to make sure the daily images are on par each and every day. By doing so, you're preparing to be ready and focused for those incredible moments. I'll be the first to say it's not always easy being consistent. Every day is challenging in its own right - whether directly related to the assignment or not. Yet remembering to focus on the fundamentals and be ready for anything can only be positive. While this image certainly isn't anything ground breaking, it was solid for the day and told the story of the day.